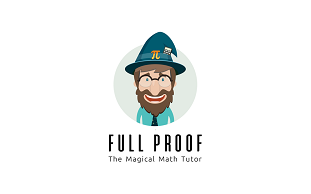 FullProof enables students to practice open and complex math questions from existing textbooks, with emphasis on problems of proof in geometry (from junior to high school). Students write all the stages of proof themselves (arguments, equations and auxiliary constructs) with an interactive diagram and a convenient and polished interface. Students can choose any way to solve. The system automatically checks solutions and provides detailed feedback on each step, smart hints, diagnosis of common errors, and personalized recommendations for further learning. FullProof is suitable for both classroom work and homework. The system reflects the teacher the students’ activities and the difficulties encountered in the classroom, and does so on an ongoing and immediate basis, without the need to examine lessons and examinations. META is a digital solution that includes focused, intelligent and structured learning units in a variety of subjects in mathematics. The units were built to provide the teacher with a clear and accurate picture of each student in the class, having a multi-dimensional picture that includes the level of understanding of the material, strengths, work style, self-confidence, and meta-cognitive abilities. The system enables the teacher and student to focus on the mathematical difficulty and learn from the mistakes, and to produce on the basis of the performance profile practical goals for the student, and a personal progress path. Ali.chat has built a chat-bot (mobile/web) which serves as a personal assistant for mathematics. Students receive messages with personalized recommendations, such as: tips for unsolved homework questions, topics to be rehearsed and helpful materials, invitations to relevant learning groups, and more. Teachers receive a clear picture of the overall class status (for example: “Class struggled yesterday especially with the subject: parallel lines”), as well as detailed status per-student. In addition, the teacher can personalise his lesson with a single click which then sends a personal recommendation to each student as to what to learn now, and how. A learning platform that trains the future generation according to the needs of the labor market and the individual characteristics of each student. Ann creates a unique learning experience that improves professional and mental achievements (Hard & Soft Skils), based on the statistical experience of students with similar characteristics. Ann interfaces with every learning environment – at home, at school, at the university, in the workplace, etc. Ann is a hybrid system that combines the advantages of the machine with the benefits of teacher / mentor to create quality data-based learning. A tool developed by teachers – for teachers. The system is adapted to each level during the course of studies and to any pedagogical approach of the teacher so that it can be used in the classroom, at home, and even in class discussions. The tool is based on three principles – interaction between the teacher and the student, formative evaluation and accessibility of alternative ways of learning according to the personal assessment. The teacher receives a fluent picture of the both student’s and the class situation, and different possibilities for imparting the material, according to the assessment of each student. A digital platform where you get to diagnose and train motivation and thinking abilities that are required for mathematics studies. Thinking cultivation includes training units of abilities such as analysis, integration, logical thinking, procedural, comparative and more. At the end of each training unit there are matching math exercises. Motivating motivation involves working on related topics such as “working according to rules”, “meeting challenges” and more. The training is customized for each student, depending on the diagnosis. The teacher can keep up with each student’s progress, send feedback and receive classroom data according to which he can plan his steps. TailorED enables teachers to reach every student in any K-12 classroom through personalized and collaborative learning – independent of classroom technology constraints. We leverage AIto help teachers personalize their instruction by grouping their students based on whole-child student profiles and providing differentiated lesson plans with the most effective research-backed instructional strategies and activities tailored to the needs of each group.